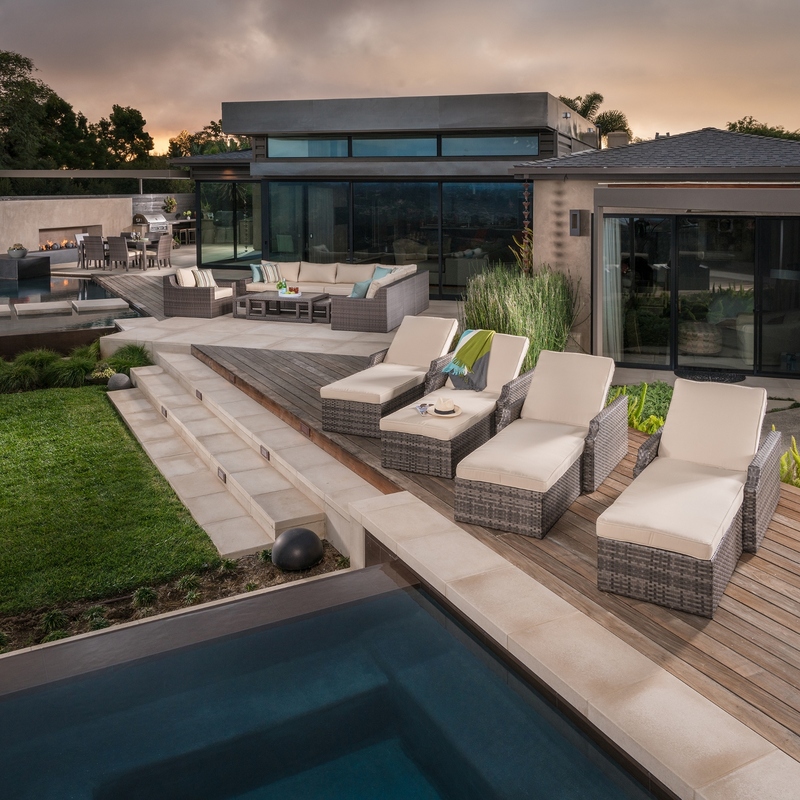 Create the look of a luxury resort with the Kingston 21-piece Estate Collection by Mission Hills®. 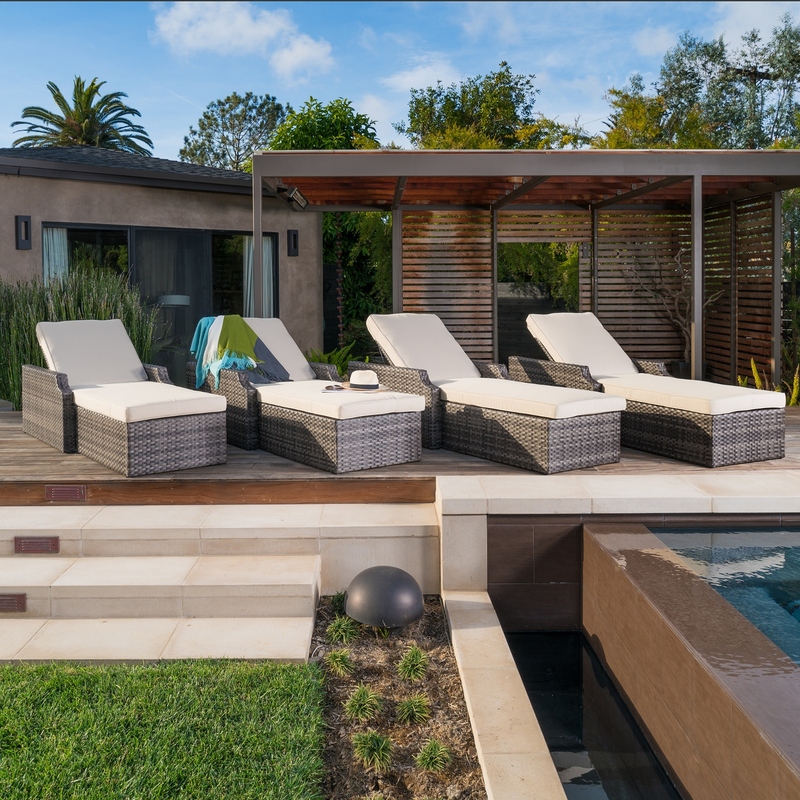 Soak up the sun and relax in one of the four stylish chaise loungers. 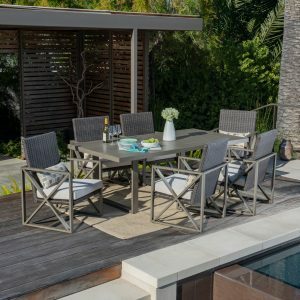 Enjoy a meal outside with family and friends with the 7-piece dining set. 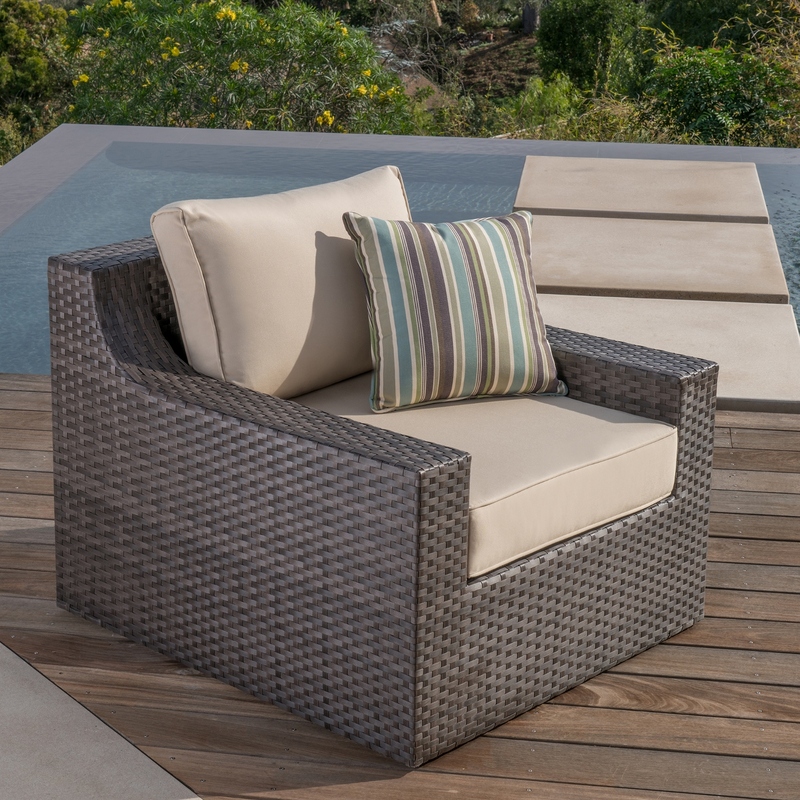 Curl up and read a good book on the 10-piece deep seating set. 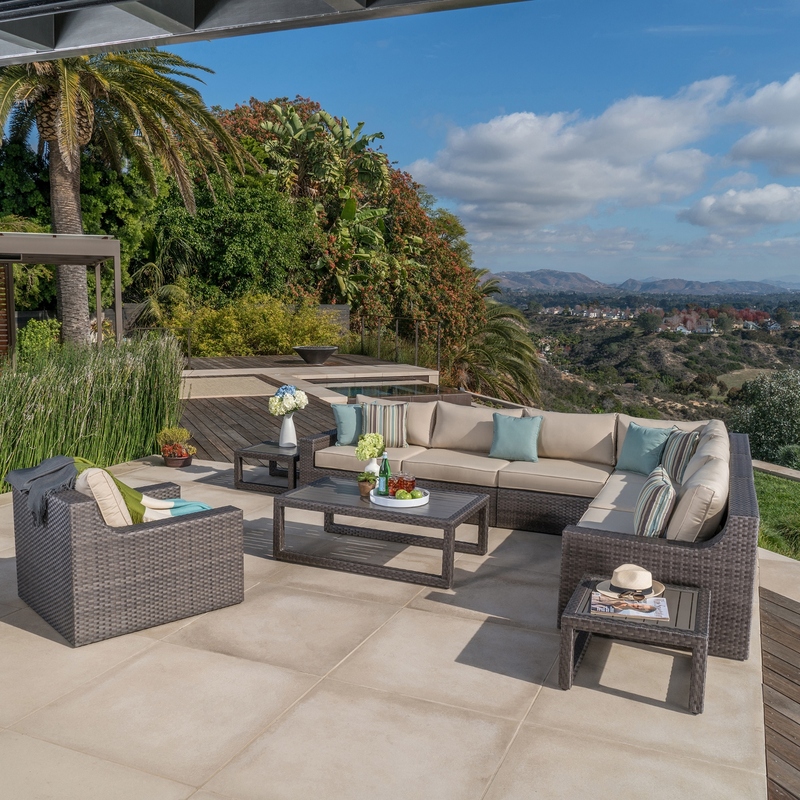 However you use your outdoor living space, this Estate Collection is sure to satisfy. 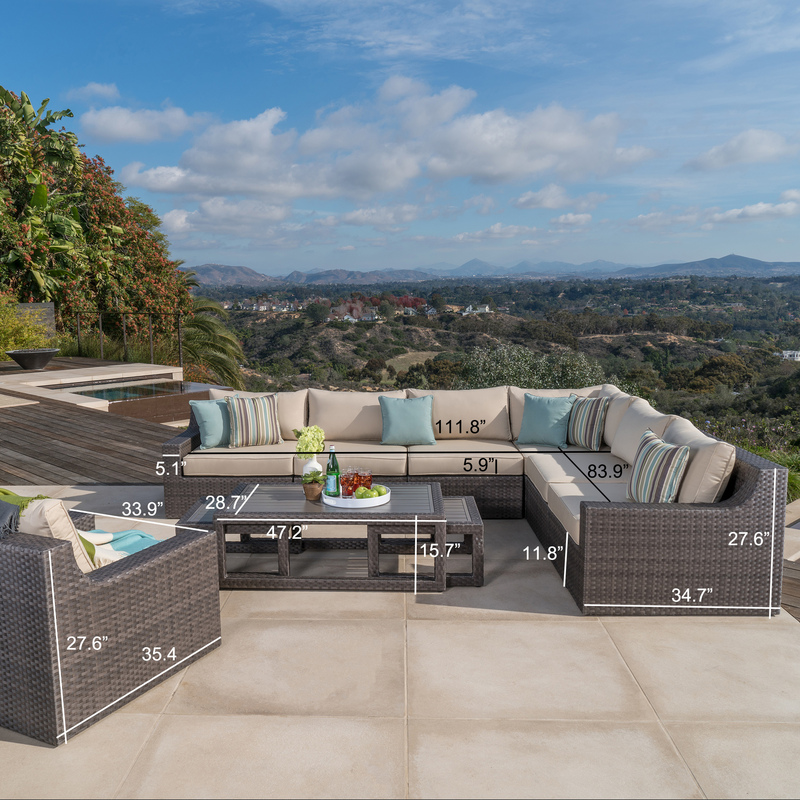 Included is the Kingston 10-piece Deep Seating Collection. This expansive modular seating set can be arranged as a large sectional or separated into multiple groupings, seating six or more. Included with the set are three armless chairs, two side arm chairs, one corner chair, one club chair, a coffee table, and two nesting side tables. 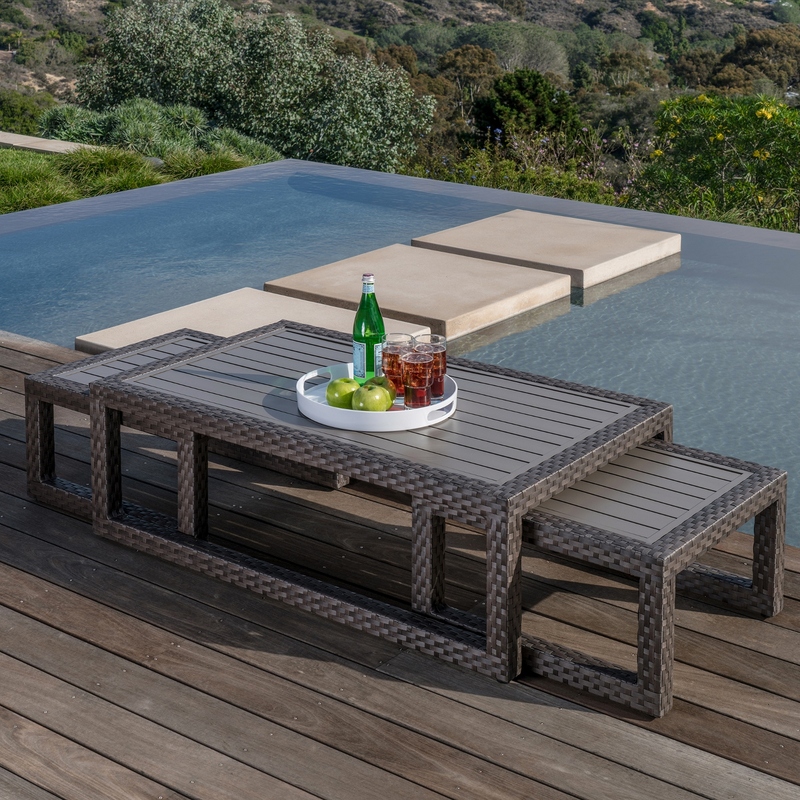 All pieces can easily be moved and positioned to fit your outdoor area and fastener clips are provided to keep the modular pieces in place once you’ve arranged them. This 7pc dining set includes 6 generously sized padded dining chairs and a rectangular dining table with aluminum slat top. 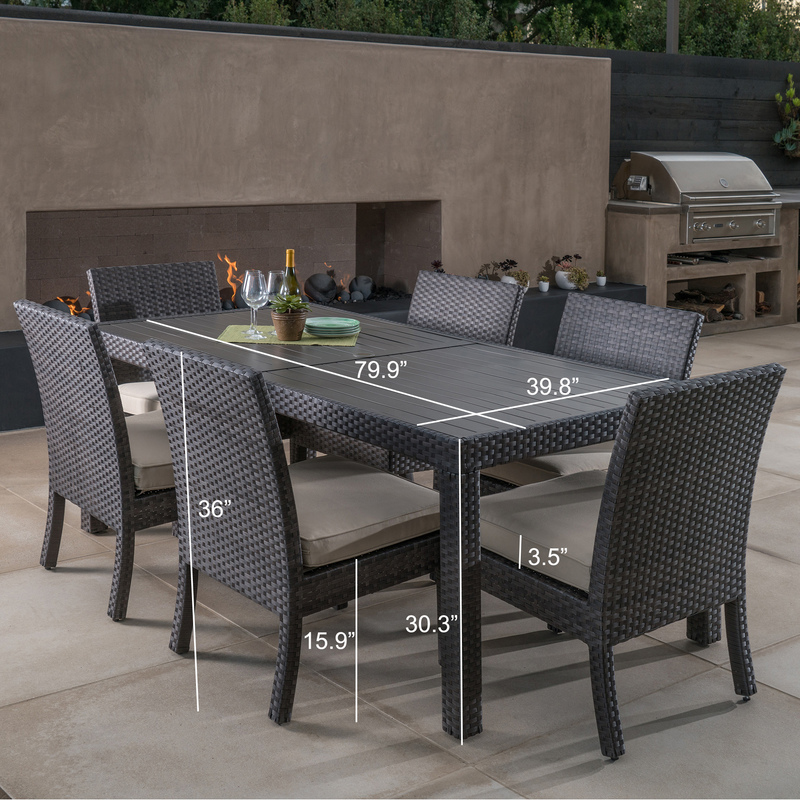 The table has an umbrella pass-through when extra shade is needed (umbrella not included). 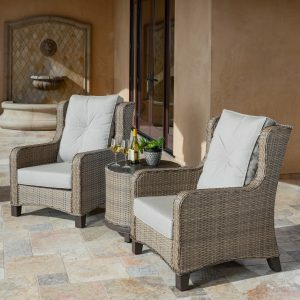 Also included are 4 of the Kingston Chaise Lounges. 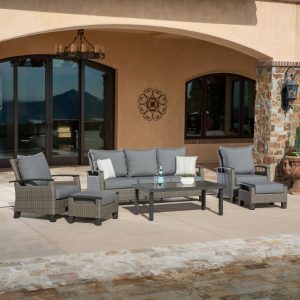 These chaise loungers feature five position adjustable reclining backs, and full length Sunbrella® cushions for maximum comfort. 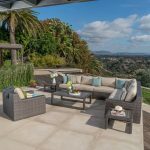 Each piece in the Kingston Estate Collection is outfitted with mildew- and fade-resistant Sunbrella® fabric cushions in Canvas Antique Beige with matching piping trim. 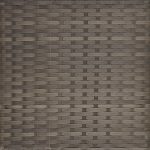 Also included with the set are six 17” square accent pillows, three in Canvas Spa, and three in Brannon Whisper. These cushions are soft yet durable and will withstand sunlight, heat exposure and numerous cleanings. 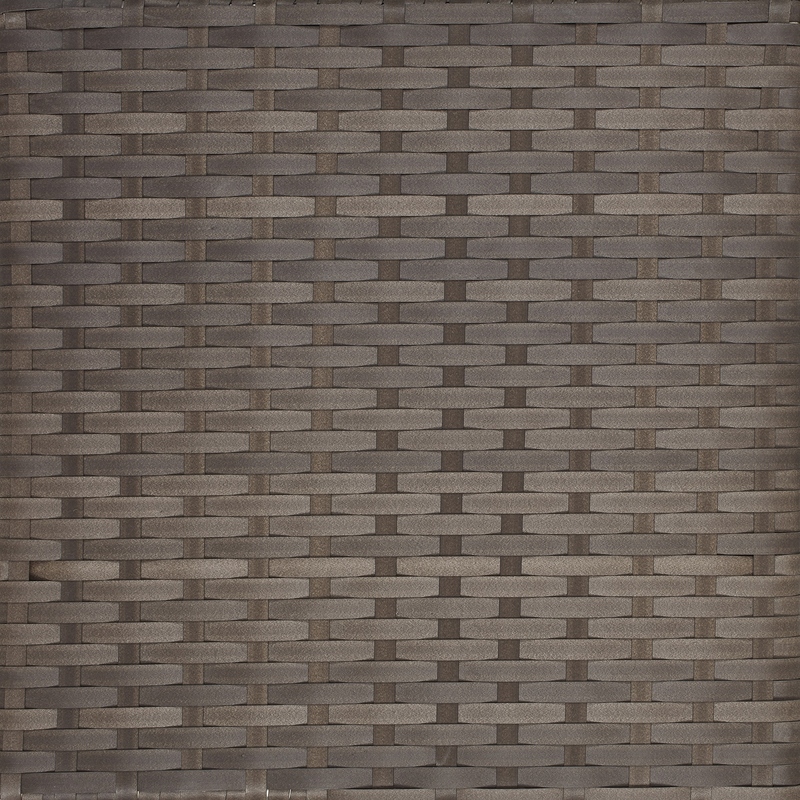 Our Slate wicker has variegated shades of brown and grey, creating a rich textured look. The UV and weather resistant material will look beautiful year after year. Powder-coated aluminum frames are light yet durable to make arranging your pieces a breeze. 47.2” L x 28.7” W x 15.7” H; 25.7 lbs. 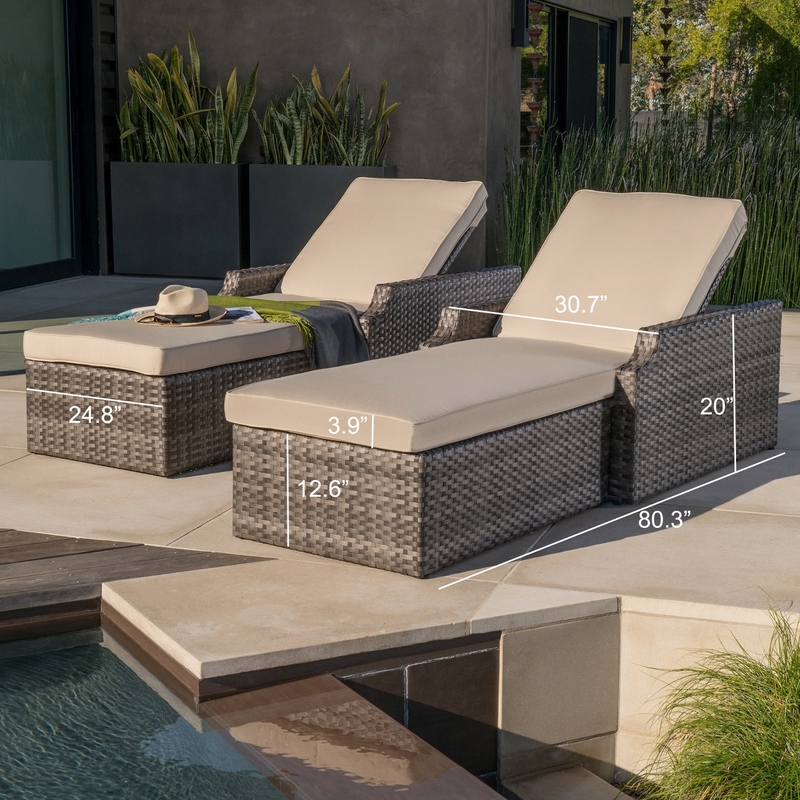 35.4” L x 33.9” W x 27.6” H; 31.2 lbs. 34.7” L x 27.6” W x 27.6” H; 27.5 lbs. 70.9” L x 39.4” W x 29.9” H; 55.0 lbs. 34.7” L x 34.7” W x 27.6” H; 35.0 lbs. 34.7” L x 33.1” W x 27.6” H; 35.2 lbs. 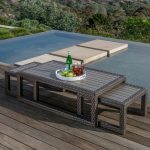 Categories: Outdoor Furniture, Estate Collections.